Noah said, “O my people, there is not error in me, but I am a messenger from the Lord of the worlds. 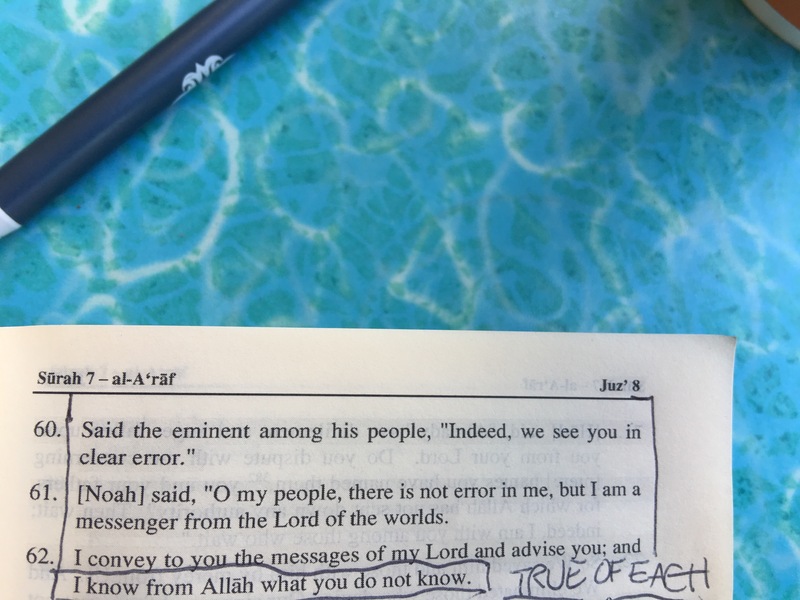 I convey to you the messages of my Lord and advise you; and I know from Allah that which you do not know. Then do you wonder that there has come to you a reminder from your Lord through a man from among you, that he may warn you and that you may fear Allah so you might receive mercy?